"Golden Gate Blues," by James L. Cambias [bio] (edited by C.C. 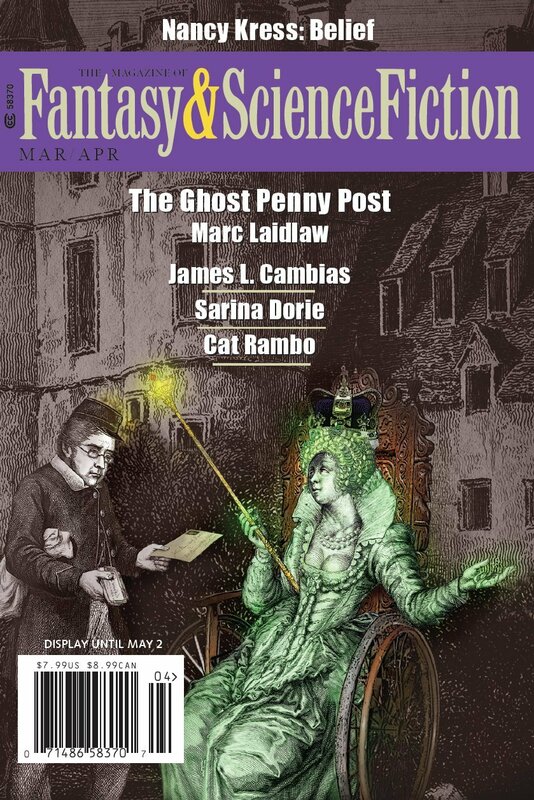 Finlay), appeared in Magazine of Fantasy & Science Fiction issue 03-04|16, published on March 5, 2016 by Spilogale Inc. Pro: The story doesn't take itself too seriously, and it's an amusing read. Letting the bridge attack monsters instead of the other way around is a cute idea too. Con: Cute, but unbelievable. Even for a world with superheroes. Sentient, vigilante infrastructure is just a bridge too far. It's hard to resent a negative review with a pun like that in it. This was Veronica Mars in comic book world, but from Dad's POV. Definitely entertaining -- I wouldn't mind reading more "episodes."